As the new school year is set to begin, I always try to find better ways to organize my schedule, my lessons, my seating charts, my grade book, my students’ works, etc. 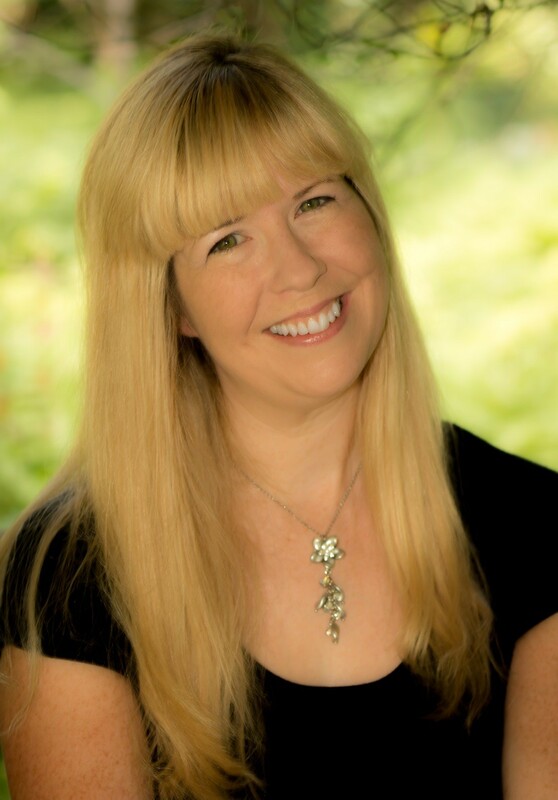 Through the years, I have found that when I can organize digitally, I not only save paper, I can usually access many of those digital items from the cloud and share that information quickly and easily. Due to these reasons, I am able to stay more organized, which frees up time that used to be spent finding where everything was filed or kept. Setting up the classes: I ask the administrator’s assistant for the excel file of the class lists. She emails them to me. I open the mail app on my iPad and find her email with the excel file attached to the email. I click and hold the attachment. 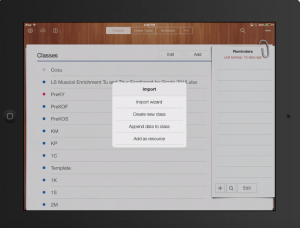 A new menu appears giving you options to what app you would like to open it in, I click iDoceo4, the app launches, I click on “Create new class”, and then the class is set up and ready to go. 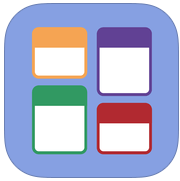 Creating a Seating Plan: When you tap on your class’s name, iDoceo will take you to the screen where on the top, it reads, “Summary Gradebook Diary Notes Seating plan Pin board.” When you tap on “Seating plan”, your students’ names will appear. 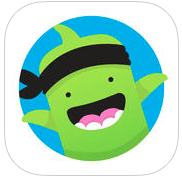 Tap and hold a student’s name and you will see another menu appear. 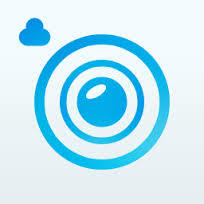 Tap on “Take picture”and iDoceo will ask you to access your iPad’s camera. When you allow this, you can now take a picture of the student. 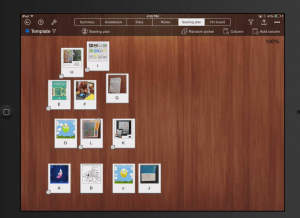 Once finished, you have pictures of your students that you can now click and drag into their seating order. 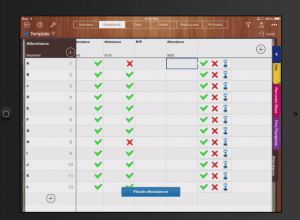 You can create five seating plans per each class. I also use this tool to create riser charts for the concerts. Tip #1: I changed the background of the seating plan to show the carpet that I use in my classroom. 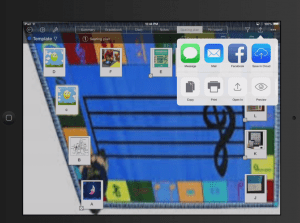 To do this, I tapped on “…” on the top right-hand corner of the screen, placed a picture of my music carpet in my Dropbox (you can take a picture or download it from a website), tapped on “Background image”, tapped “+”, and imported it from Dropbox. Tip #2: Tap the share button on the top right-hand corner of the screen, tap “Export current view“, tap the share button again, and then tap the mail icon. The seating plan will now be placed in an email that you can email to yourself. Once you open the email, you can print out the seating plan and give it to your substitute for the days that you are away from the classroom. This way, your substitute has the seating plan, names, and pictures of all of your students. Priceless! 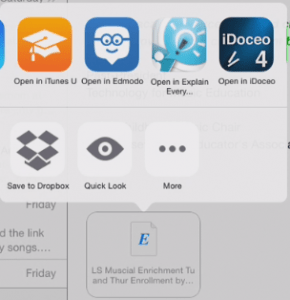 Tip #3: When you need to pick students randomly, tap on “Random picker”. iDoceo will randomly pick students and place a dice next to the names that have been picked. iDoceo will stay this way until you clear the dice history by tapping on the tools (the wrench) and scrolling down to “Clear dice history”. 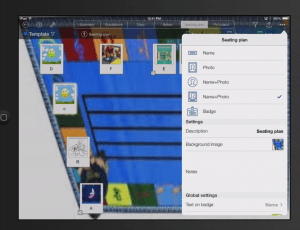 Tip #4: If you tap “…” in the upper right-hand corner of the screen, and you tap the middle choice in the “Student thumbnail” row, you will now have the students’ pictures appear on every page of your tabs. 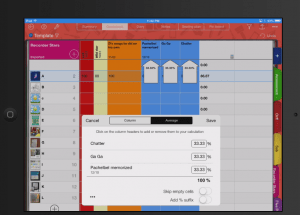 Tabs: One of the most valuable assets of iDoceo is the Gradebook. The Gradebook can host several tabs listed on the right side of the screen. Each tab can be its own chart. For example, I have tabs for assessments, Orff seating charts, Skin and Bones singing assessment (Sab), Recorder Stars earned, Five Pumpkins singing assessment, and Attendance. When I take attendance, I tap on the + sign in the circle and tap “Attendance”. I now have an attendance column with the current date. When I double-tap on a cell, I have the choice to tap the green check (present), red X (absent), or the sand timer (late). I tap “Finish attendance” when I am done taking attendance. Tip: When there is a fire drill or such, take the iPad with you so that you have an accurate attendance record with you at all times. 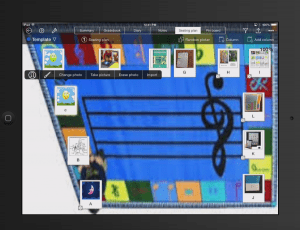 Icons: When I create a chart for assessment, or a chart for keeping track of what Orff instrument the student has played, or a chart for behavior, I can use customized icons to quickly make a note in each child’s record for that day. For example, on this day, the student “baptized” the carpet (the umbrella tells me to send the student to the bathroom sooner next time), sang well (green smiley face), and was sent to the nurse (shot needle). To customize the icons, go to the main screen, tap on the settings button in the upper left-hand corner of the screen, scroll down to “Icons”, and check and label the ones you want and uncheck the ones you do not want. 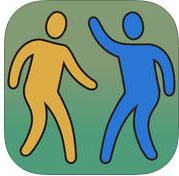 Tap “Done” when you are finished. 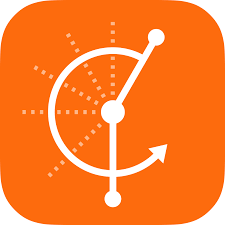 options on how iDoceo can automatically proceed to the next cell, the previous cell, the cell below it, or the cell above it, if you would like. When there is no arrow coming out of the rectangle, then iDoceo will not go anywhere until you tap the next cell that you would like. Audio and Video Assessments: One of my favorite features of iDoceo is that you can record audio and/or video for each student. When I click on a particular student’s cell, a variety of options show up from adding icons, to writing a comment, attaching a file, taking a video/picture, and recording audio. 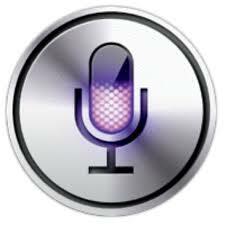 If you tap the microphone, you can record audio, like a student singing a solo, that will be included in the student’s file. If you tap the camera, you can take a video of the student singing or performing on an instrument. Once finished, the cell will have a tiny black triangle in the top right-hand corner of the cell to remind you that there is something added to this cell (whether it be audio, video, a comment, etc). Adding a Comment: As stated above, one of cell options is to add a comment. This is very useful when you are assessing a student with a behavioral concern. If you add a comment, the student cannot see it because it only shows you the tiny black triangle in the right-hand corner of the cell when you complete typing the comment. If you tap on the cell, you can see the entire comment. If you tap on the mail icon, it will give you the option to mail the comment (which in this example, includes the audio file as well) to the student, the parents, or both. If you have not entered any email addresses, that is fine. You can tap on “To Parent” and your email will open asking for you to add an email address in the “to:” box. I enter the classroom teacher’s email address and the comment is now sent to him/her. 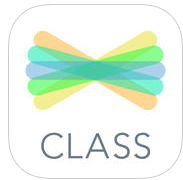 This is a wonderful way to quickly send an email about behavior per class and to easily keep track of those emails. 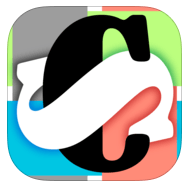 Copying text from one cell to another: If you are adding an assessment that earned a grade of 100 points and you would like to copy those points to other cells, you can click and hold the cell with the number 100 in it, tap “Copy”, tap “Copy Text”, and iDoceo will read “Copy mode is active.” Now you can double tap any cell and the number 100 will be placed in the cells. To turn it off, hold the cell again and tap, “Cancel Copy”, which will deactivate the copy function. Averaging Points: iDoceo can average points per column to give you a class average, or per row to give you a student’s average. For a class average, tap the cell below the final student’s cell. 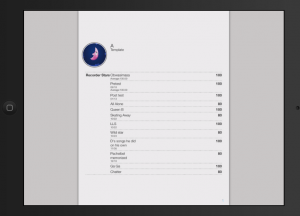 A new menu appears. 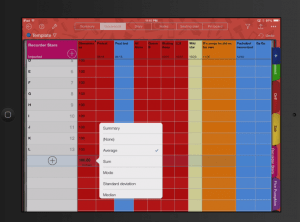 Tap “Average” and iDoceo will list the classes’ average scores. 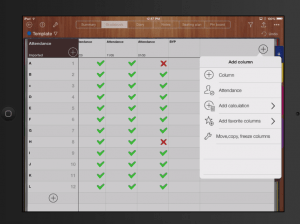 For the student’s average, tap in the empty column header, tap “Add calculation”, tap “Average”, then tap the columns you want to average, and click “Save”. You will now see the student’s average. 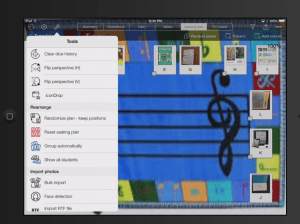 Export: You can export a student’s file in several different ways. First, tap the export button at the top right-hand corner of the screen. iDoceo gives you many options from exporting a student report, to sharing it, to exporting the report as a pdf or XLs file. Second, you can choose options on what to include in the file, how to share it or export it, and where to open or save it in. 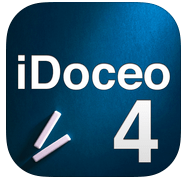 If you want to export the student’s file in a certain way, I am sure that iDoceo can accommodate you. http://www.idoceo.net is their website with so much information, you should be able to find answers to any of your questions. 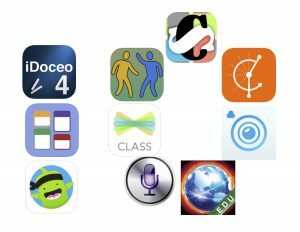 These are ten apps that can assist with organization at the beginning of the school year in the elementary music classroom. Have an amazing school year. I hope that it is filled with great joy and student success stories!